Our mission is to be the best place to start looking for a job. We search thousands of websites so you don't have to and bring together millions of ads so you can find every job, everywhere, via Adzuna. We provide smarter search options and powerful data about the job market, giving you the information you need to take control of your career. We know that looking for a job is a rollercoaster ride. As a team, we love using the awesome power of technology to help match people to better, more fulfilling jobs and keep Singapore working. 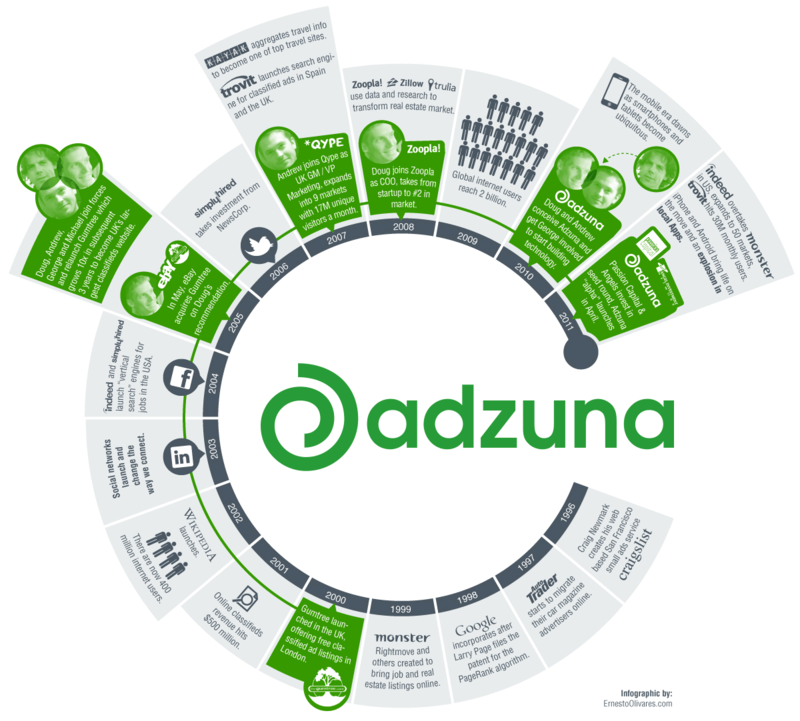 What does "Adzuna" actually mean? "Zuna" means "abundance" in a number of African languages. We aim to be the most abundant classified ads site on the web, and to bring you the best ads sooner than anyone else. Hence the name Ad-zuna. We're based in leafy South-West London in the UK. Drop us a line and come say hi!